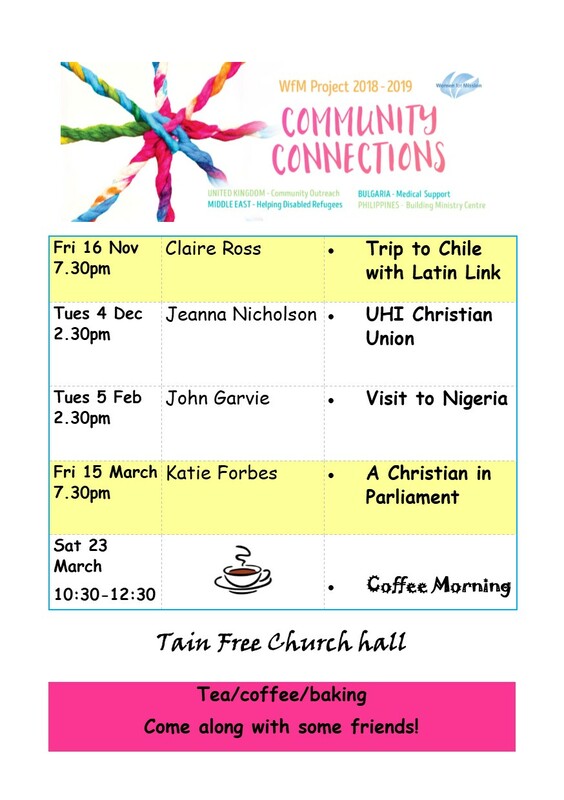 HISTORY OF TAIN AND FEARN FREE CHURCH. NEW FREE CHURCH FOR TAIN. We support local, Highland, national and international Christian mission. We have a wide variety of interesting speakers at our meetings, which are informal and include tea, coffee and home baking. We fund-raise through Bring and Buy stalls, coffee mornings and donations to support needs in our own community and further afield. This term we are trialling evening meetings which we hope will be more suitable for those who work during the day. Women of all ages are invited. Why not come along with some friends and use your gifts in this practical way? Copyright © 2019 Tain and Fearn Free Church.